Charmaine is the daughter of Glen and Phyllis Bennell (nee Wallam) and was born in Pingelly, Western Australia. Her family moved to Bunbury when she was a toddler. 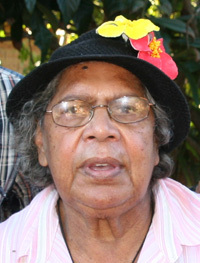 While working at Manguri school (Sister Kate’s) in Perth, she started the Languages Other than English program so that she could teach the Noongar language. Charmaine then moved back to her home town. 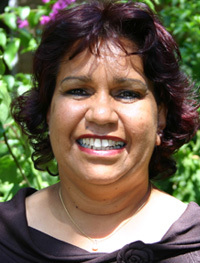 Charmaine was a Noongar language teacher at Djidi Djidi Aboriginal School Bunbury. Charmaine has been involved in teaching Adult classes for last 4 years for the local community of Bunbury. She is now currently studying for a Bachelor of Arts of Indigenous Languages and Linguistics. Her aspirations are to encourage her community to embrace and continue to revive and maintain Noongar Language for future generations. Phyllis Bennell was born at Roelands mission. She is the daughter of Ted and Ruby Wallam (nee Windi). Phyllis married Glen Bennell and they had three chilldren. She has been a strong supporter of the Noongar Language Project and is undertaking a Noongar language course at Djidi Djidi Aboriginal school. Her father, Ted Wallam spoke Noongar language from around the Kojonup, Bridgetwon area. He moved around for work and settled in Harvey. Barbara was born in 1938 at Picton Junction. 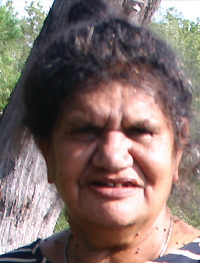 She is one of the last descendents of her generation of the Wardandi and Bibulmun Noongar Clans. Her father was Frank Corbett and her mother was Leah Newell – the daughter of Rosemary Mippy who was the daughter of Ediann. As a young girl Barbara went to many country schools but her favourite was the little school at Vasse. The family had no transport and would often walk miles from their camp, through the bush into town to watch a movie and then back again. Barbara’s mother taught her about family and supported her when she was a young mother. Like her mother before her Barbara has taken the role of teacher and researcher for her family to pass on stories of life and country. Barbara’s father Frank Corbett spent much of his early days at Ellensbrook Homestead with his brother Dan. He had a great influence on Barbara and her love for country, family and understanding the importance of respect for both. Barbara is tied to her country and the stories in this compilation. Through her poems the connection to country and ancestors whisper to us of those who left their footprints on Wardandi Country and are now in their ancestral home. 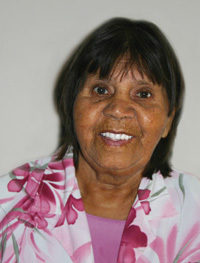 Averil was born at Gnowangerup Mission hospital in 1939. She lived at the mission until she was about nine or ten and considered it a safe haven as a child. Although they couldn’t go outside the mission she remembers it as really happy times growing up with family and extended family, especially her father’s mother, Granny Williams who was loving and respected by everyone at the mission. All of Averil’s childhood memoires have a strong sense of being secure, safe and loved. 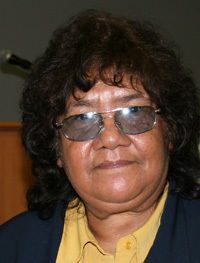 When her family moved to Tambellup, Averil and all of her 11 brothers and sisters studied hard at school, encouraged by their father and his belief in the importance of education if they were to be able to compete in the white man’s world. After finishing school in Tambellup, Averil went to Girdlestone High School in Perth and studied to become an Enrolled Nurse, a very difficult move away from her family. She then had two years at Royal Perth Hospital, finally moving to Broome Hospital. This was the scariest time of her life because she didn’t know the country or the cultural protocols. It was in Broome that Averil met her husband and had two children before moving back to the Gnowangerup, Tambellup area where they worked with her family living in tents on different farming properties. Next they move to Cranbrook where they lived for 12 years, before finally moving to Albany over 20 years ago. Growing up, Averil remembers hearing her family talking in Noongar and wishes that she was now able to speak the beautiful Noongar language, because it is through language that Noongars are able to embrace their culture and have a greater understanding of the land, which is the heart of Noongar culture, feelings and spirituality. It is also very important that language is passed on to children, grandchildren and great grandchildren, so that they not only learn about their land and culture but also have a strong sense of identity and pride in their Aboriginality. It is because of her commitment to the future generations of Noongar children that Averil started working with her brother Jack going into schools and teaching kids about Noongar culture. The Noongar kids in the region love to learn the names of places, plants and animals which brings great joy to Averil and Jack seeing the kids growing in knowledge and pride as Noongars. Cindy was born in York, WA. Cindy is one of eleven children born to Steve and Veronica McGuire. 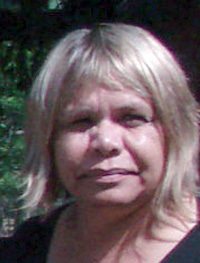 Cindy attended the intensive Noongar language program to enable her to teach the Noongar language. Cindy went on to teach Aboriginal adult TAFE students Noongar language. She has had several positions in education and in family support. Cindy is married to Lyall Garlett and has four boys. 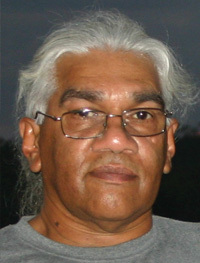 Ian William Hill is a Wardandi Noongar man from the south-west town of Busselton. My mother was sick when she was pregnant with me at Toodjay (we were living there because dad and Grandfather (mum’s dad Herbert Bynder) were working at Gidgiganup), so they sent mum to King Edward. My mother was Gertrude Bynder, and father Alfred Knapp. Mothers great grandmother name was Mederan (mullet) & she married and Irishman call Thomas Egan, who was transported from Ireland to Albany. Mederan was a full blood woman from Albany. My fathers father was a Mandabourn man a Wadjari man and his wife was Lillie Bevan and she was Ngadu woman from Israelite Bay. My father was born in Albany at Centennial Oval. My mum was born at Mallawa. They meet at Carrolup mission as mum was sent there after her mother died, and then after I was born they move back to Minarup, where I lived the first 6 years of my life. Then we moved to Gnowangerrup were we live for 8 years, I went to school up to year 9. Then we moved back over to Albany. Then after finishing school and started working as a seamstress at a tailors and then met my first husband and move east to south Australia’s Riverland, where I had my last two children at Loxton River. After 11 years at Loxton I moved back home to Albany where I met my second husband and had my sixth child. I also enjoy painting anything from landscapes to dot paintings all related to my country and culture. I am a member of SWALC, representing my Knapp family. Undertaking cultural tours in my country and working as a cultural advisor for the university and mining companies keeps me busy. I also deliver cultural awareness training for professionals coming to work in the Albany region which enables me to educate non-aboriginal people about our protocols and how to show respect for our country. Being involved in documentation of my language and culture has enabled me to share and pass on our cultural knowledge and family heritage to our children and our children’s children. I have six children, 16 grand children and 1 great grand child. Alison Nannup is a young Noongar Yindjibarnbi woman who lives in Perth. These stories have been passed on to her from her father Noel Nannup. Alison believes it’s important for future generations to know stories from their culture and country, and to be able to know, read and understand these in their own language. Alison hopes that by sharing stories and language through books, talking books and via the internet, people will come to understand how broad and deep her culture is. It is because of the importance of language to identity that Alison has embarked on studies to strengthen her language knowledge and Noongar literacy skills so that she can continue to contribute to the reawakening of Noongar language and culture. 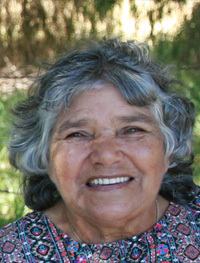 Carol Pettersen is a Merninga-Gnudju woman of the Noongar nation, born at Gnowangerup mission in 1940 and has lived in Albany most of her life. Carol has five children, four surviving; thirteen grandchildren and eight great grandchildren. Carol has an extensive work history, working for many different government departments. She retired from the public service in 1998 but continues to work as a volunteer for the Noongar community. As a Justice of the Peace, Carol is still actively working in the courts as an advocate for social justice for Noongar people. She is also very active in assisting to bring about social and economic changes for Noongar people through land claims and access to mining income. Carol’s passion is the reconstruction of an Indigenous interperative trail to honour the Gnudju women. These women walked from Esperance to Albany and back to supported their husbands who were taken from Esperance and jailed in Albany for breaching the WA Native Welfare act of 1905 (masters and servants act for insorbordination). The reconstruction of the trail will trace the footsteps of these brave women and breathe life into their traditional walk trail. Carol’s other passion is ensuring that her grandchildren and great-grandchildren have the opportunity to embrace their language and culture through traditional experiences. 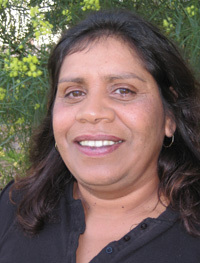 Lorraine Smith-Marshall is a Noongar woman from the Kaniyang clan and is the second eldest of twelve children. Her mother, Jean Smith (nee Eades), was from the Wilman clan and was born in Woodanilling. Her father, Gilbert Arthur Smith, was from the Kaniyang clan and was born in Tambellup in the south-western corner of Western Australia. Lorraine lived most of her early life in Boyup Brook, where she did all her schooling. Her father always talked to her about Noongar language and country and she often sat around the camp fire listening to stories from both her mother and father. Lorraine has shared these stories with her extended family. This Waakarl story, from the Kardakoor Bilya-k region, was told to her by her father. Noongar spiritual beliefs and stories are a part of her every day life and Lorraine continues to practice these through advising her niece in the performing arts. Theresa Walley, was born in Kellerberrin on the 6th of November 1937. She was one of nine children born to Mary Theresa Indich and Luis Winmar. At the tender age of seven, she with several of her family were placed in the care of the Carrolup Mission. Mary and her children absconded and Theresa ended up in St Joseph’s orphanage at New Norcia. Here she received a very restricted upbringing so was totally unprepared for life when she was put outside the doors with a suitcase. She found a job as a domestic at the Quairading hospital. Eventually she met and married Leslie Robert Walley. The children to this marriage are Trevor, Robert, Doreen, Cheryl, Rosemary, Charmaine and Christopher (deceased). Now a great grandmother, Theresa’s life has been one of survival, bringing up children, working and constantly researching the background of her culture. Rather than retire, now with the duties of “Elder” she is constantly on call and in great demand. Her love of her fellow indigenous peoples, especially the young, is very evident in the many projects in which she is involved, including tourism where she guest speaks, does educational bushwalks and demonstrates the values of bush-tucker. 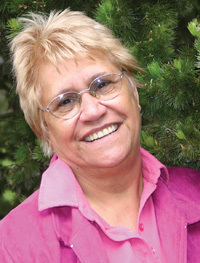 Theresa has authored and illustrated several books about Noongar culture and traditional stories. In this book Theresa invited her daughter Cheryl and granddaughter Biara to do the paintings for two of the stories. 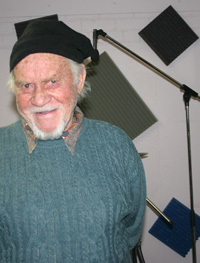 Jack was born in the bush on the west side of Gnowangerup in 1933 and was named Leonard George Williams. His Noonidj (totem) is kaarl (fire) and he is a Kaarl Poorlangar (people of the fire) man of the Koorintj tribe. His parents were Leonard Williams Choorijl and Elsie May Haywood. His grandparents on his mother’s side were Bill Haywood and Minnie Knapp and on his father’s side Eddie Womba Williams and Lily Birchell. There were eleven children in Jack’s family and the reason they are so close today is because of the way they were raised. It was Jack’s grandfather, Womba, who used to tell the family many, many stories when they were young and out hunting. At night they would be sitting around the fire and old Womba would be telling stories about where they had been and what had happened that day; he would tell the story in a song. In 1938/39 Jack had the privilege of seeing the last big corroboree in the southern region of Western Australia.  Aboriginal people came from Esperance, Ravensthorpe, Kalgoorlie and Geraldton. Noongars, Wongi, Yamajis and Pintinjarra people, about 200-300 people. Although Jack was just a little fella he could still feel the songs and dances of that corroboree. It is something that will lived with him forever. Growing up was hard in many ways because of the double standards in everything. Noongars had very poor living conditions and while Jack’s dad encouraged his children to set standards and work to be equal to white people, they weren’t even classed as citizens. They had a six o’clock curfew and didn’t have rights over their own land, even the Noongars who were returned soldiers weren’t classed as citizens. Jack went to live at Tambellup where he stayed for 40 years; it is where he met his wife Joan Miller. Later, Jack and his family moved to Albany. Jack and his sister Averil took school kids on bush excursions around Albany to sites that are significant to Noongar people. Jack played a very important role as an Elder in passing on Noongar language and culture for the future generations of Noongar children. The stories that Jack has passed on were told to him and his brother and sister by Eddie Womba. 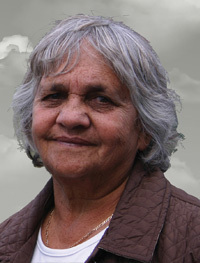 Dorothy Winmar was born in the south-west town of Pingelly. Her family moves around the wheat-belt area working on farms, they mover to Corrigin and Bruce Rock where Dorothy finished her schooling. As a young woman she did domestic work on farms in the area for £3 per week which she though was good money at the time as she had no other source of income, but now thinks that it was cheap labour. When Dorothy met her husband they lived in York where she had her children two girls and four boys before moving to Bunbury. After many years in Bunbury they moved to Perht. Her husband passes away in 1996. Dorothy has worked for the prisons and continued to work until three years ago when she decided to stay at home and take care of her grandchildren. Dorothy’s grandmother’s name was Yurleen, she was a Wadjak woman from the Swab River region. Yurleen died in 1993 and the ‘Daily News’ published a tribute to her. Dorothy now takes the Noongar name of her grandmother Yurleen and her totem is the little frog. 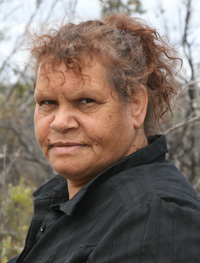 Karen Winmar is a Noongar woman from the wheat-belt area in the south-west of Western Australia. Karen feels that through her artwork she is able to express her Noongar spirituality. She has been an artist for over ten years and has a strong interest in Noongar language. Karen is a mother of three and grandmother of two. She grew up in Bunbury and moved to Perth in her early twenties. 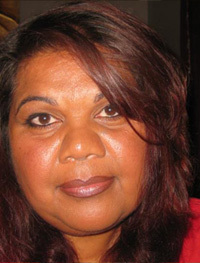 Kerry-Ann Winmar is a Noongar woman from the south-west of Western Australia. Her family is connection to the Wadjak and Balardong clans, through her parents and great grand-parents. 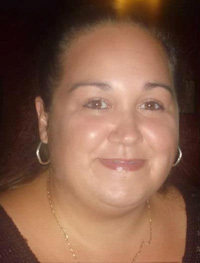 Kerry-Ann has a great interest into teaching cultural awareness throughout Noongar country. Her hope is that language and culture can be maintained and passed onto the next generations.